The CFIC in Argentina has been operating several schools, facilities for children in difficulty, and public canteens for more than eighty-five years, and is present in the cities of Buenos Aires and Cordoba, and the provinces of Santa Fe, Tucumán and Salta. The various initiatives have been and are under the direct management of the Congregation hat supports initiatives for children in the wake of the severe and ongoing political and economic situation that began back in 2001 and still bodes ill over the medium term. 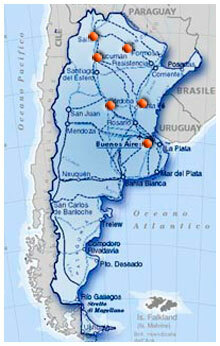 The disappearance of the middle classes, once the robust backbone of the country, and ever mounting poverty (almost half of all Argentinians live in poverty) led us to come to the aid of the CFIC religious by offering remote support for the children whom they assist and proposing projects to the Italian Cooperation Department and other agencies for financing.